It’s really amazing thinking about the total difference Christianity brought to the Jewish mindset concerning God and non-Jews. To the Jews, theirs was a near exclusive relationship with God. And if anyone wanted to have a relationship with God, they basically had to become a Jew. 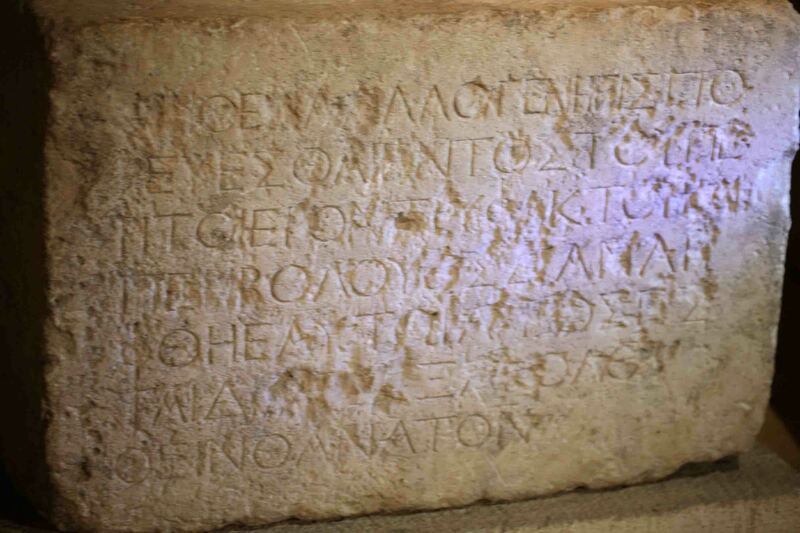 This was seen in a wall that separated the outer court of the Gentiles from the inner court of the temple. It was called the middle wall, and in Herod’s temple, there was a sign that strictly forbade any non-Jew from entering any further into the courts on pains of death. In short, they were excluded from the special relationship God had established with the Jewish people through his covenants with Abraham and Moses, and they were excluded from any promises of a Messiah to come that could save them. They were considered outsiders. The result? Totally alienation from God with no hope for salvation. Put another way, they were locked out of the kingdom of God with a huge sign on the door, “No outsiders allowed.” And so were we. But now in Christ Jesus you who once were far away have been brought near through the blood of Christ. For he himself is our peace, who has made the two one and has destroyed the barrier, the dividing wall of hostility, by abolishing in his flesh the law with its commandments and regulations. Paul’s saying here that now, through Christ’s death on the cross, he has torn down that middle wall which he calls, “the dividing wall of hostility.” Prior to Christ’s death, the law was a huge barrier between Jew and non-Jew. It separated the two as “law-keeper” and “law-breaker,” although that was merely an artificial barrier since even the “law-keepers” couldn’t keep it perfectly. And so the reality was, the law put a barrier between all people, Jew and non-Jew alike, and God. But then Christ came, fulfilling the law perfectly in his life, and then paying the penalty for our law-breaking in his death on the cross, taking the punishment we deserved. And now, not only the wall between us and God is gone, but the wall between Jew and non-Jew. There is no longer any, “Us and them.” Instead, we are now one in Christ. Paul says that now we both have access to the Father, and that not through different ways. Rather, it is through one Spirit, that we come before the Father. There is no longer citizen and foreigner in the kingdom of God. Rather, all who come to faith in Christ are together fellow-citizens, with full rights as God’s heirs. And now together, we are being built into a temple of God in which he dwells, showing himself to the world. We share the same Jesus as our cornerstone, and the same foundation of the apostles and prophets. So the question is, when we look at our fellow believers in church, do we see them that way? Do we treat them away? Or are there some people that we treat as second-class citizens because of their race, gender, or by the fact that they are not as “good” as we are? We are all accepted by faith in Christ. So let’s get rid of all the hostility and any barriers that would separate us. This entry was posted in Ephesians, New Testament, Pauline epistles and tagged accepted, hostility, middle wall, peace. Bookmark the permalink.